The Detroit Lions have 89 players on their roster right now, and come Week one, it will go down to 53. Detroit will have to cut 36 players to fulfill that requirement. There will be many battles come training camp and preseason, to see who makes it, and who gets sent home packing. Detroit had a good draft, adding depth in the trenches and creating competition in other positions. Here is an early roster prediction for the 53-man roster, plus a possible practice squad list. The quarterback position is going to be an interesting one. I believe Jake Rudock is the next Shaun Hill and he will be a great backup in the NFL. This year though, he will have to hold the clipboard and learn the ropes from Stafford and Orlovsky. Look for 2017 to be Rudock’s year of being a backup. Running back is a deep position in Detroit. Abdullah will be the starter getting most of the carries, while Riddick will be the main receiving back after having a great season last year. Stevan Ridley vs Zach Zenner will be the battle to watch at that position. Who will become the powerback for the team? Lucky for them, the team will have both of them on the roster. Wide Receiver has some questions after the number three spot. Golden Tate, Marvin Jones and Jeremy Kerley have the first three spots locked up, but the final two spots will get the most fight for them. TJ Jones did well when asked to step up last season and I believe he wins that four spot and Andre Caldwell will make the team strictly on his return abilities, leaving Tate and Abdullah on the sidelines for those plays. Tight End doesn’t have much competition here. Eric Ebron, Brandon Pettigrew and Tim Wright were the three last year and they will stay the top three this year. Now we shift focus to the biggest question mark coming into the 2016 season, what is going to happen to the offensive line? The roster received some upgrades with additions of Geoff Schwartz, Taylor Decker, Graham Glasgow and Joe Dahl. Riley Reiff’s job is in jeopardy at the left tackle position and the right tackle spot is up for grabs as well. People see Schwartz as the right tackle right now, and I used to be one of those people, but if Decker can’t win the left tackle spot from Reiff, he will be the right tackle for Detroit. Guard might not make changes. Laken Tomlinson and Larry Warford weren’t horrible, but weren’t impressive last season. Joe Dahl will be a backup, but Schwartz will compete for either spot. At Center, I see changes. Travis Swanson had a horrible year last year and with Glasgow coming in, I don’t see Swanson winning this battle. Glasgow will win this battle near the of preseason with a good performance in the late games. The defensive line has added some depth and strength. Anthony Zettel can play both tackle and end, but expect Detroit to move him to the end spot due to the roster spaces at the tackle position. A’Shawn Robinson will move up the depth chart and be the number two tackle as the offseason goes on. He will beat out Reid, Wright and Walker to move up. Linebacker is a questionable for Detroit after DeAndre Levy, Tahir Whitehead and Josh Bynes. The biggest departure is Stephen Tulloch, as that whole situation is still up in the air and nothing new has come out since the announcement of him getting released was public. Kyle Van Noy is in a “prove it” year and if can impress well enough, he could get re-signed in 2017. Cornerback is a position on defense where we pretty much know who is going where. Alex Carter will make his debut after missing the entire season last year and will make the roster. Quandre Diggs and Nevin Lawson will fight for that number two spot and Johnson Bademosi will be a special teams player mostly. Safety will have some interesting battles. Glover Quinn is the only for sure starter, while Killebrew, Bush and Wilson will all compete for the other starting spot. Killebrew doesn’t have the injuries like Bush and Wilson has always been a backup and will continue that play in Detroit. Prater might have some competition during camp, but he has no chance of losing his job. 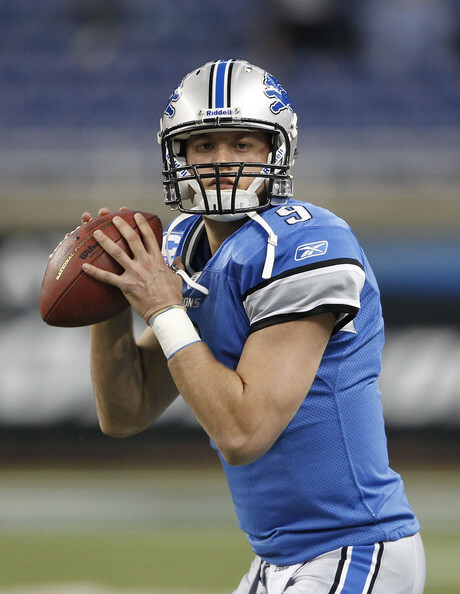 Sam Martin is in the same boat with Christy, as he is doing the punting for Martin during camps to save Martin’s leg. Surprisingly there is a battle at the long-snapper position. Mullbach has been the long-snapper for Detroit since 2004 and 2016 will be the last year for him. Mullbach signed a one-year deal and Detroit drafted Jimmy Landes to replace him with, but Mullbach will finish this year and won’t get cut. There you have it, an early look at the possible 53-man roster and practice squad roster for the Detroit Lions. Will my predictions come true? Only time will tell. How are you writing articles like this if you’re putting players on the practice squad that aren’t eligible for it? ?